Today I will be reviewing Dabur Gulabari Rose water premium Gulab Jal. I love this for the fact that it can be used alone as freshener, with glycerin or in the face packs. Ingredients- Aqua, Fragrance (Rooh Gulab), Rose Oil,Propylene Glycol, Methyl Paraben, Proplyl Paraben, Bronopol. 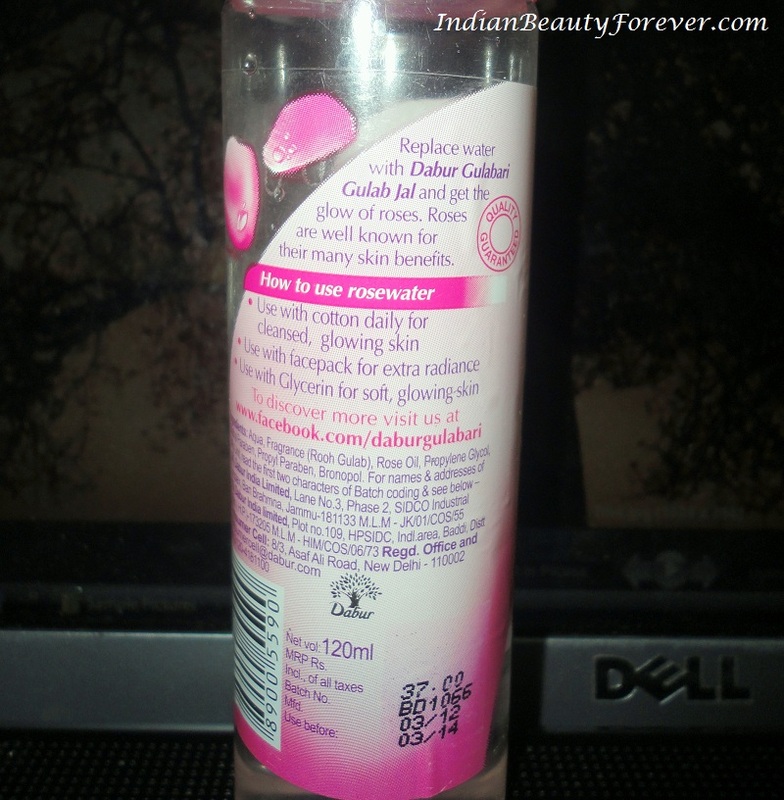 What the company claims- Replace water with Dabur gulabari rose water and get the glow of roses. Roses are well known for their many skin benefits. 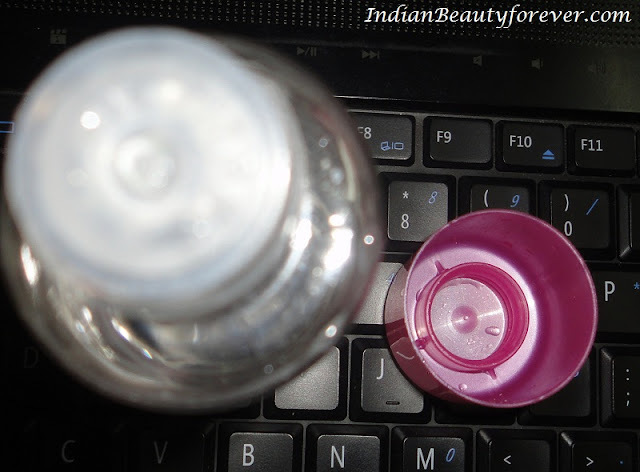 My Experience- I m an ardent face pack lover And I personally feel rose water is generally better replacement for ordinary water. 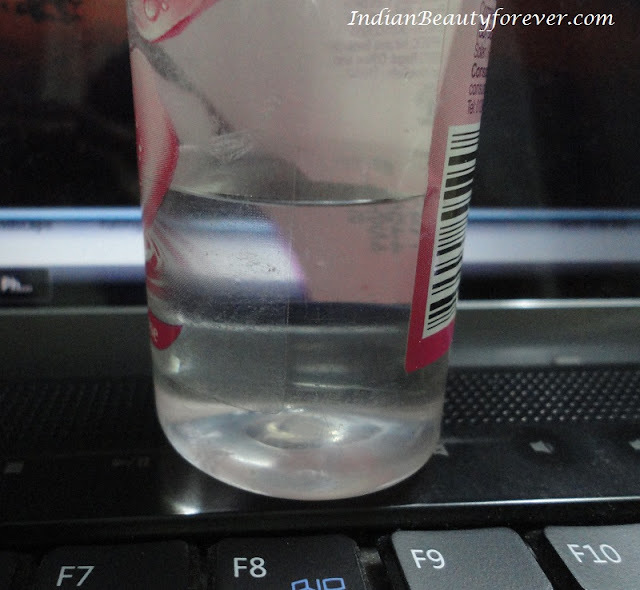 Hence I started my first try with Dabur gulabari rose water and felt quite satisfied with it. It has the very rose smell and it’s pleasant. It just vanishes after the use and doesn’t linger on. It is completely like plain water on consistency. It is non-greasy and non-sticky. It gets absorbed in seconds. I use it with face packs and also some time just dab with cotton and apply on face for dry skin. I really cannot say how much times I got this product for me. It is almost 4 years now with it. Just love it to the core. You can also try Aroma magic Aromatic skin toner which is equally good as this and can be used as a mild toner. I purchased the dabur gulabari rose glow face cleanser today..and it was such a disappointment cause the ingredient list included SLS, parabens and dimethicone. So frustrating.